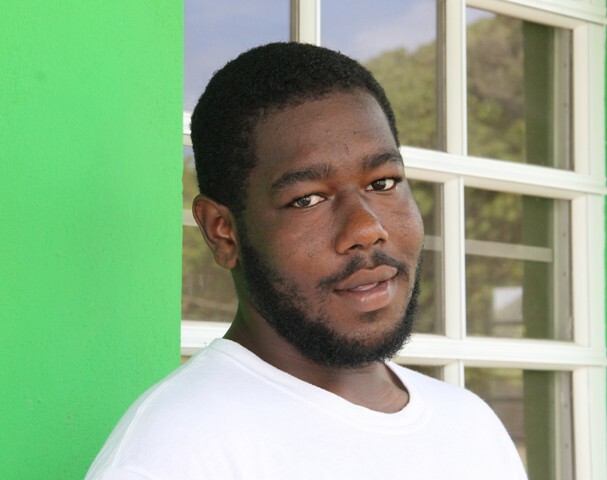 NIA CHARLESTOWN NEVIS (OCTOBER 04, 2016) — Shavon Lawrence, head cook at the Joycelyn Liburd Primary School (JLPS) new cafeteria, says he is excited about his job to prepare nutritious lunches for students of his alma mater. 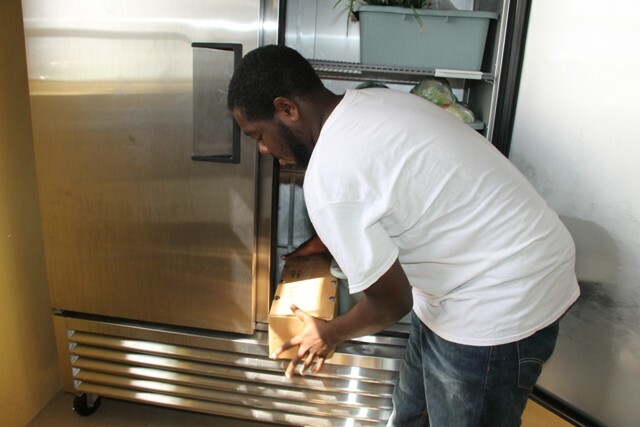 A young man from Gingerland, Lawrence leads a team of three cooks at the facility which was launched on September 30, 2016. He served the first meal to students there on October 03, 2016. “I’m excited to be working here. I worked in various hotels, business places before but yes I’m very excited to be at this one…As a past student, I would like to work along with everybody. Prepare some nutritious meals for the kids. Keep them on the right track, be like a guide to them so people could see me as an ambassador. “I did a bit of training in Oualie [Beach Resort]. 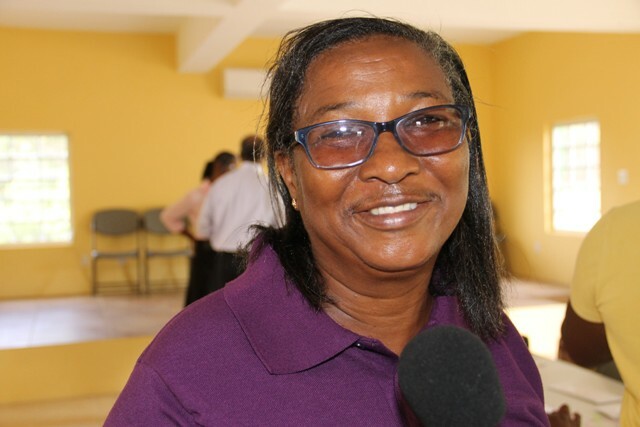 I went on to work at Montpelier Plantation Inn then to Rivière House, Ole House Café, back to Rivière House and here I am,” Lawrence told the Department of Information on September 30, 2016. “I always liked baking, then mummy told me I have to learn all this stuff and she taught me. I was going to classes after school. I went on with the United Nations Educational, Scientific and Cultural Organization (UNESCO) Youth Poverty Alleviation through Tourism and Heritage (PATH), then that’s when I really started taking cooking really serious,” he said. Lawrence, thanked those who continue to support him on his career path. He also used the opportunity to say to other young people that they should not others change their life ambitions but instead, strive for what they want. Meantime, Administrative Supervisor at the cafeteria Marion Lescott said Lawrence and his team would cook to feed 120 students on the first day. A former principal at the JLPS, she said the roll there is 196 and it was a good start to the programme but expected other students would join the programme. 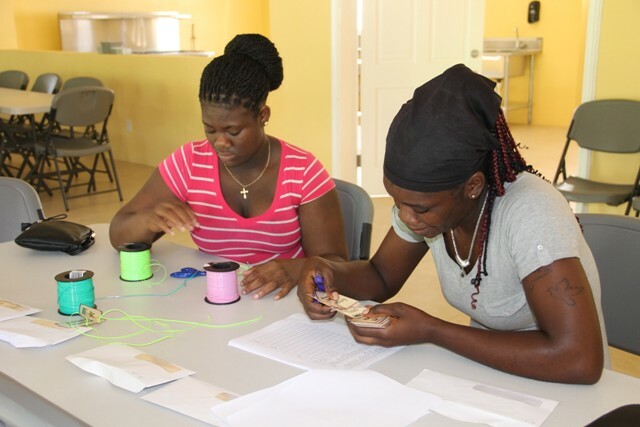 She noted that the Nevis Island Administration (NIA) had injected the start-up funding for the School Meals Programme but it essentially is a self-supporting project. Lunch costs $5 per day and $25 per week and in the case where one parent has two children, one will be at full price and the second will cost $4 per day and $20 per week. Lescott described the programme as a good one with good pricing but urged the parents to pay on time to maintain it. “Parents have to keep paying so that we can shop. We will be using their money, as it were, to do the shopping. If the parents pay regularly, the programme will go very well. If the parents fall behind, then they will put us in some problems. “We want to encourage the parents to pay. They have signed a contract and they agree to pay either weekly or monthly. So we just want to appeal to parents and encourage them to pay regularly whichever programme you signed up for,” she said. The JLPS cafeteria’s administrative supervisor also called on parents, friends and well-wishers of the school to donate excess fruits, vegetables and other local produce to the feeding programme. She noted that a parent had donated a stainless steel kitchen sink for use in the hand washing area. She said they also planned to support the local farmers in the community where possible.